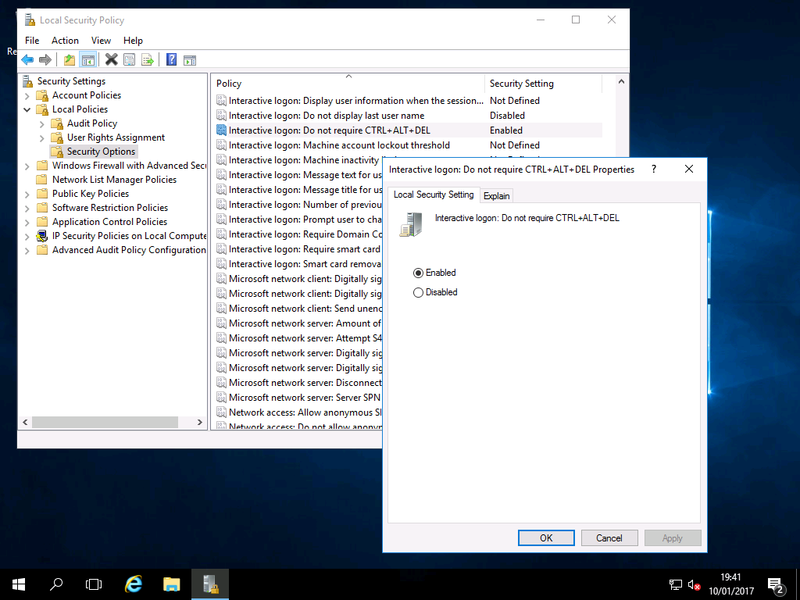 Disabling Ctrl+Alt+Del – Windows 2016 & Wndows 2019 Workstation! Another of the default requirements of any Windows Server environment is the need to press Ctrl+Alt+Del at the login screen. This is a security feature to ensure rogue apps aren”t disguising themselves – potentially stealing your credentals. As we are using this server as a workstation, we can safely disable this requirement for convenience. 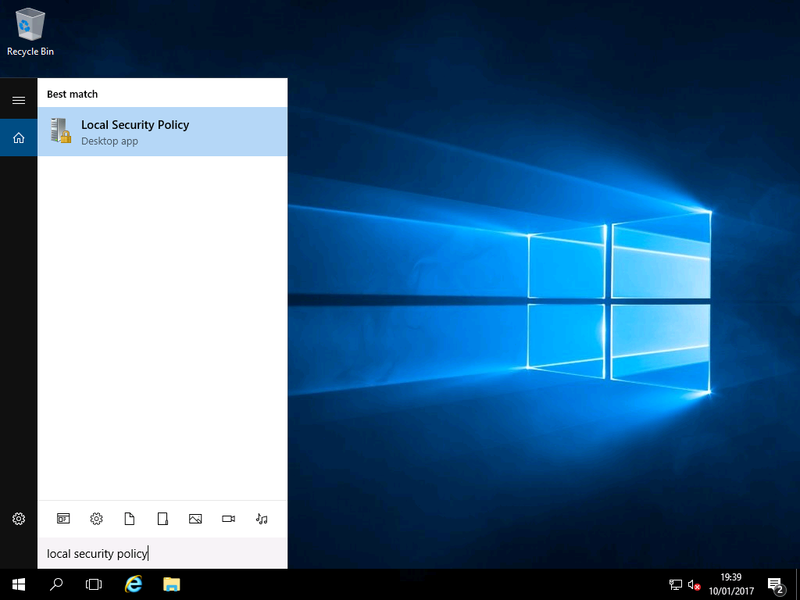 1) In the search box (magnifying glass on the TaskBar) type “Local Security Policy” and open the app.